A variety of music may be heard at the Rockwood First Congregational Church, even within a given worship experience. 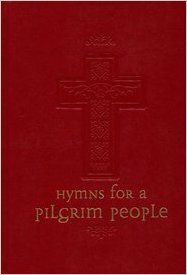 The congregation sings primarily out of its hymnal, published in 2007, entitled, Hymns for a Pilgrim People. Selected songs range from ancient to contemporary. The church’s choir, directed by David Marshall, sings anthems, hymns, spirituals, and many other types of music, both contemporary and traditional, on most Sundays and during special services between September and May each year. On many Sundays during the month and on a number of other worship occasions, the organ is played by Susan List, whose talents have been heard in many religious settings in Monroe and Wayne Counties in Michigan and in Lucas County in Ohio. Pianist Denise Niebrzydowski, also a church musician, also plays for the congregation and accompanies the choir. For special services on holidays and during the summer months when the choir is not singing, the church features special musicians, including both instrumentalists and vocalists. Among those who regularly appear at the church are area artist Bertha Beach, accomplished French horn player Dinah Bianchi, singer and pianist Lillian Bryant, the award-winning Sheila Burke and Joe Kidd, soloist Gloria Range who has shared her gift of song in many civic and religious venues, internationally-acclaimed soprano Jenny Lynn Stewart from New York City, and members of the church’s choir. The choir rehearses each week on Wednesday at 6:00 pm and is open to anyone who wishes to lift up their voice and add to the joyful noise.